Mr. Stuart Hatfield is the Robotics Branch Chief for the Deputy Chief of Staff, G-8, Department of the Army in the Pentagon. He manages the U.S. Army’s $1.6 billion Robotics modernization portfolio, including resources and requirements for ground Robotics and Autonomous Systems (RAS), Small Unmanned Aerial Systems (UAS), and Soldier Power Systems. 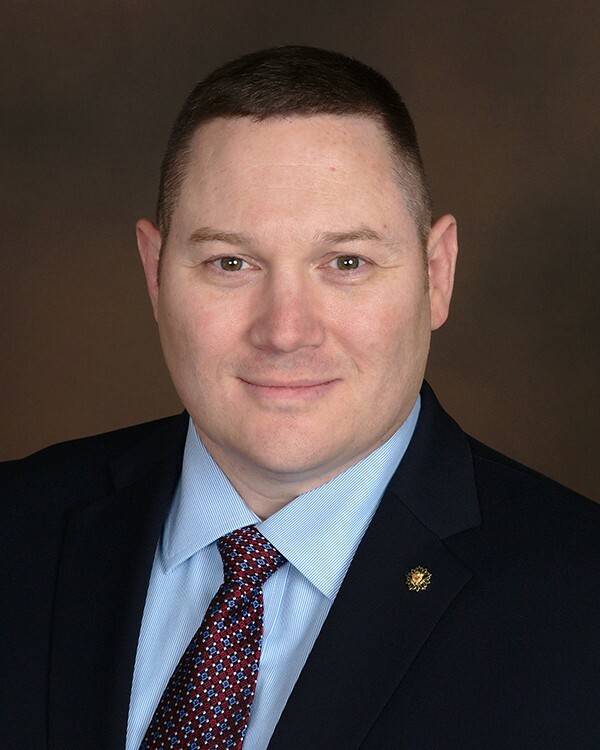 He is the Army Staff lead integrator for Robotics, and he co-chairs the Joint Staff Unmanned Ground Systems Integrated Product Team to synchronize concepts, requirements, resources, technology, and standards for RAS across the Department of Defense. He was honored by the National Defense Industrial Association as the 2012 Ground Robotics Champion. A&M: Tell us about your role as Robotics Branch Chief, Army G-8, and some key focus areas for the Pentagon’s Robotics and Autonomous Systems (RAS) effort in 2018. Mr. Hatfield: The Army G-8 Robotics Team manages the requirements and resources associated with implementing the Army’s Robotic and Autonomous Systems (RAS) Strategy (March 2017). The Army Robotics modernization portfolio is structured for managing the equipping budget for ground robotics, Soldier power systems, and, as of September 2017, small unmanned aerial systems (UAS) (less than 20 pounds). As of April 2016, responsibility for the Army Requirements Oversight Council (AROC) transitioned from the G-3/5/7 to the G-8 in order to better synchronize requirement document approval with program funding. As force developers, our team collaborates with the capability developers to gain Chief of Staff approval for new requirements. In accordance with Army priorities, we then build the budget to support those programs to deliver RAS capabilities to the Warfighter through programs of record or urgent Operational Needs Statements. As per the RAS Strategy, our purpose is to provide a modernized force equipped with affordable, modular, interoperable, and increasingly autonomous RAS that enable Army formations, through Manned-Unmanned Teaming (MUM-T), to increase their endurance, persistence, lethality, protection and depth. The RAS priorities are: 1) Improve situational awareness 2) Lighten physical and cognitive workloads, 3) Sustain with increased distribution, throughput, and efficiency, 4) Facilitate movement and maneuver, and 5) Protect the force. We are accelerating development using a Buy-Try-Decide methodology with rapid prototyping to conduct technology demonstrations and Soldier experiments for the Squad Multipurpose Equipment Transport (SMET), Common Robotic System – Heavy (CRS-H), Leader-Follower, and the Next Generation Combat Vehicle (NGCV) Robotic Combat Vehicle (RCV). The Soldier Borne Sensor (SBS) and the Short Range Recon UAS provide organic UAS support down to the Squad and Platoon for a quick look over the hill, around the corner, or in the next room. The Universal Robotic Controller will unite all air and ground systems at the Battalion and below level. Non-standard equipment robots continue to bridge the gap until we begin fielding in the next year programs of record implementing our open architecture, modularity strategy for common chassis and modular mission payloads. A&M: In terms of current budget allocation, what are some factors re-defining RAS capabilities acquisition in response to the Pentagon’s changing global strategy? Mr. Hatfield: There are three factors critical to delivering capabilities to the Warfighter: Senior Leader vision, clear and technologically achievable requirements, and stable resources. The Secretary and the Chief have provided a clear vision for the Army to balance readiness, end strength, and modernization. The new National Military Strategy, Multi-Domain Battle Doctrine, and assessments of near-peer competitors provide the focus to maintain our readiness to “fight tonight”. We are beginning to “grow the Army” to better provide the quantity and quality of forces required by the Combatant Commanders to meet contingency operations. To focus our Science and Technology (S&T) investments and guarantee our Soldiers have formation based tactical overmatch and technological superiority in the near to mid-term, the Army has established six modernization priorities and a new Army Futures Command with and associated Cross Functional Teams (CFT) empowered to expedite and deliver next-generation-systems that make our Soldiers and units more lethal. The Army is capitalizing on the powerful acquisition reform tools provided by Congress in the National Defense Authorization Acts of 2016 and 2017. We can leverage rapid prototyping and rapid fielding to buy down risk of innovative system components or technologies. We can increase acquisition agility by delegating materiel development authority down to the lowest level. Smart contracting, Other Transaction Authority (OTA), commercial item procurement, and reduced testing time and costs enable program managers to rapidly deliver systems to operational units for early Soldier Feedback on concepts and production requirements. We cannot let the perfect be the enemy of the better or good enough. Sufficient and stable funding is required for program managers and industry partners to deliver capabilities to the Warfighter. Congress has provided the Army with additional funding in FY18 and FY19, but we are still recovering from the extended series of Continuing Resolutions over the last several years. Any new start items in FY18, such as Leader-Follower, SMET, and SBS cannot begin start of work until funding from the 2018 Omnibus is made available, expected in May 2018. This delay in funding created six month delays in both the Leader-Follower and SMET technology demonstrations, detailed below. A&M: With regard to current Army modernization efforts for Robotic and Autonomous Systems (RAS), can you speak to key programs exemplifying successful integration of autonomous capability? Mr. Hatfield: The success of Army RAS programs is more than just amazing technology for the Soldier. These innovative programs have also pioneered many of the acquisition reforms desired by our Senior Leaders, including Directed Requirements, rapid prototyping, rapid fielding, hands-on Soldier experimentation, Other Transaction Authority (OTA) smart contracting, open architecture, modularity, interoperability, and buy-try-decide methodology. In February 2017, the Army Chief of Staff rejected a deliberate, seven year, traditional acquisition approach for the integration of Leader-Follower autonomous vehicle technology onto Heavy Tactical Wheeled Vehicles (HTV). He challenged the Robotics Enterprise to get a good enough, fast enough, cheap enough Leader-Follower capability in the hands of Soldiers within thirty-six months. A manned Leader vehicle is followed by three to seven unmanned vehicles on primary roads for local and line haul convoys at speeds up to 45 miles per hour, the maximum safe speed limit for a human operated fully loaded Palletized Load System (PLS). The Army G-8 quickly approved a directed requirement for the United States Army Tank Automotive Research, Development and Engineering Center (TARDEC), in collaboration with Program Manager (PM) Force Projection (FP), PM HTV, Training and Doctrine Command (TRADOC), Forces Command (FORSCOM), and Army Test and Evaluation Command (ATEC), to develop and issue up to 150 Leader-Follower kits to two FORSCOM Palletized Load System (PLS) companies no later than January 2020 for a twelve month Operational Technology Demonstration (OTD). The trucks are already rolling to the Oshkosh factory for drive-by wire modifications. TARDEC was prepared to award the procurement contract in December 2017; however, the FY18 funds from the 23 March 2018 Omnibus budget will not become available until on or about 01 May. The first ten systems will be quickly installed and begin extensive safety and reliability testing to be certified for Soldier use. An additional sixty trucks, thirty per company, will be available to begin the OTD on schedule in January 2020, meeting the Chief’s challenge. Also in February 2017, SMET faced a similar schedule challenge, but with the added uncertainty of a known materiel solution configuration. The aim of the SMET is to increase the small unit’s combat effectiveness and endurance by reducing the Soldier load and decreasing the reliance upon daily external sustainment support by carrying one thousand (1000) pounds of squad equipment, supplies and generating 1Kilowatt (KW)-3KW of power to a nine-man squad for a seventy-two (72) hour mission operating over 60 miles. Again, the Army G-8 approved a directed requirement in May 2017 for PM FP to procure up to 80 surrogate SMET systems from up to four vendors, with some unmanned and some optionally manned. By June 2017, PM FP had issued a request for vendors to compete at Fort Benning, GA in October 2017, resulting in four selectees ready for a contract award in December 2017, delayed until May 2018 as a new start by the Continuing Resolution. Each of the four vendors (General Dynamics, Howe & Howe, HDT, and Polaris) will deliver the first of twenty of these systems in June for five months of safety and reliability testing. Two Infantry Brigade Combat Teams will begin a twelve month OTD in December 2018 to try-decide on which vehicle will become the SMET before Army the commits to large scale acquisition of the projected Army Acquisition Objective of over 5700 systems. In support of the Army’s number two priority, the Next Generation Combat Vehicle (NGCV) Cross Functional Team (CFT) has outlined similar ambitious timelines for the Robotic Combat Vehicle (RCV). The NGCV RCV is an unmanned close combat platform (tele-operated, semi-autonomous and autonomous) that delivers decisive lethality and overmatch in a future operational environment executing combined arms maneuver. The NGCV CFT’s experimental prototyping and technical demonstrator effort will demonstrate, align, and integrate critical enabling and potentially disruptive technologies, combat vehicle capabilities, inform future combat vehicle requirements, and reduce risk to future programs of record by informing senior leaders as they make key programmatic decisions. Live vehicle experimental prototypes and technical demonstrators provide a tangible and physical bridge between S&T investments and future combat vehicle role decisions while simultaneously allowing Soldiers and units to evaluate technology and provide critical user feedback through a series of Soldier experiments at the system (FY20), platoon (FY21), and company (FY23) levels. A&M: From a Manned-Unmanned Teaming (MUM-T) perspective, how is your office helping to facilitate the integration of autonomy into proven ground capabilities such as the Manned Transportable Robotic System (MTRS), TALON, and other small RAS? Mr. Hatfield: We continue to issue and sustain existing nonstandard equipment RAS to Warfighters in theater. Every robot lost in action equates to saving the life, limb or eyesight of a Soldier. These systems serve as bridging solutions until our programs of record can be fielded, and we have made a lot of progress towards those goals in the last year. In February 2018, we fielded the first TALON 5A to explosive ordnance disposal (EOD) units at Ft. Carson, CO. The TALON 5A is recapitalized version with full Interoperability Profile (IOP) compliance, updated communications, and improved manipulation. In September 2017, the Army awarded a production contract to Endeavor Robotics for the Man Transportable Robotic System (MTRS) Increment 2, and first unit equipped is scheduled in FY19. Intense competition amongst our industry partners resulted in meeting all requirements with a unit cost reduced by half. In March 2018, the Army awarded two contracts for the Common Robotic System – Individual (CRS-I) to Endeavor and Qinetiq for the final ten month competition. This acquisition approach keeps competition high and costs low, delivering a CRS-I at nearly a third of the cost and half of the weight of the legacy Small Unmanned Ground Vehicle. Soldiers in operational units will provide input for the final selection to begin production in FY19. We are combining both air and ground RAS requirements for the Universal Robotic Controller for all RAS from the Battalion level down to the platoon and squad. Keys to success across the portfolio has been the close partnership of the program managers and our industry partners in developing and implementing the IOP standards and sufficient resources for procured quantities to allow awarded vendors to facilitize production for economical manufacturing. A&M: Tell us about the state of the Army’s Robotics Enhancement Program (REP) and current focal REP efforts in support of G-8 initiatives. Mr. Hatfield: Started in 2015, the Robotics Enhancement Program (REP) provides both the Army and industry an opportunity to evaluate and assess emerging products and technologies to verify their usefulness, appropriateness, and readiness for Army utilization. A $350k REP assessment of Common Robotic System – Heavy (CRS-H) surrogates in REP 16.2 demonstrated sufficient maturity in the technology allowing the capability developer to enter the acquisition process with a Capabilities Production Document (CPD), saving the Army an estimated $35M and three years of development efforts. To date, REP has conducted six Councils of Colonels leading to over twenty projects and evaluations. These events informed Army capability developers and materiel developers on the state of robotics technology and industry efforts. It is an important capability that improves industry and Army communication and engagement, allows better and smarter Army decisions, and helps bridge S&T to Programs of Record. It allows flexibility and agility that are key components of Army acquisition reform. As we begin to field common chassis in each the various robot sizes, we begin to focus our search for the modular mission payloads that will expand their roles into multiple warfighting functions. REP will soon assess and verify the readiness and maturity potential robotics payloads from improved control, manipulation, navigation, increased autonomy, and even remote weapons. These events may allow several of these payloads to shorten or skip development which will save money and time. A&M: Feel free to speak to any goals/challenges moving forward. Mr. Hatfield: The Army’s RAS enterprise is facing both opportunities and challenges. The hard work of literally hundreds of key people over the last decade has better positioned the portfolio to utilize increasing resources and deliver RAS capabilities prioritized today by Army Senior Leaders. TRADOC is establishing a centralized TRADOC Capability Manager (TCM) RAS for concept and requirements development. The Army Acquisition Executive is establishing a Program Director Autonomous Systems for centralized RAS acquisition. As systems are fielded and integrated into manned/unmanned teams, we will continue to gain Soldier trust and confidence in increasingly autonomous RAS. We will always be challenged by the ever-accelerating pace of RAS technology, but we must endeavor to continue to deliver capability at the speed of relevance for the Warfighter. We must continue to work with our industry partners to bring costs down to an affordable level enabling RAS to be fielded to the entire force rather than a few users in the fight. Stable funding without continuing resolutions will facilitate both. The state of the Army Robotics portfolio is strong and the future of the Robotics Enterprise is bright. We have some of the best minds in the world in academia, government, and industry unified with a singular goal: provide RAS to Army formations for Manned-Unmanned Teaming to increase the Warfighter’s endurance, persistence, lethality, protection, and depth. RAS will improve the Army’s ability to be ready to deploy, fight and win decisively against any adversary, anytime and anywhere.